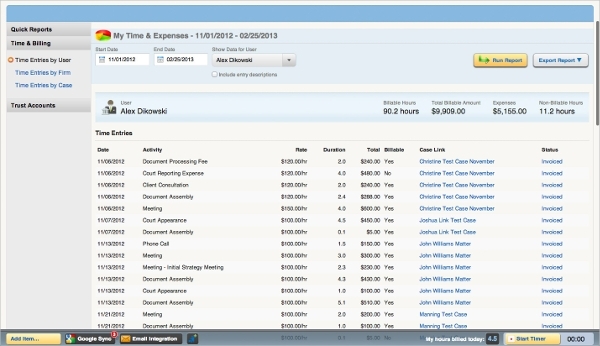 Case Management Software helps people to manage a case like a legal case. It is typically used by legal practitioners or legal firms. We review 6+ Case Management software for you to read. These are one of the best case management software. The software allows you to manage the cases and makes you work in a collaborative manner with other stakeholders and customers. 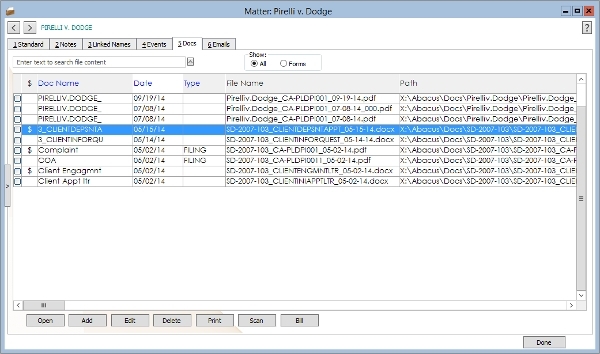 The software has built-in document management capabilities. My Case is a case management software by Ppfolio. It is an intuitive and easy to use software. The learning curve is negligible. One can organize all the folders and files on one platform and send encrypted messages securely. A good billing software and one can accept online payments. A good calendaring software which allows shared calendar and schedules intelligent meetings. Proclaim Case Management software is a leading provider of software in the UK called Eclipse. It has a central database to store all information about the case. It has good document management facilities like search and retrieves the needed documents. Store the documents in an organized manner. It has CRM built into it and can communicate to customers through various social media. All other facilities are available. AbacusLaw Case Automation Software has legal calendaring software which increases the productivity and enables you to collaborate efficiently with colleagues and clients. It has a rule based calendaring engine which automatically does intelligent scheduling. You can work remotely as it supports remote access and synchronization with mobile. Case Management Software is generally available in the public or private cloud and accessed through a browser or a mobile device. There is a need for this software to be available on other platforms like Windows and Android. We will review such platform specific software below. Trialworks is developed by litigators and hence it has all the key features required in the software. It is based completely on Windows platform and SQL Server databases. It supports easy case taking, shared calendaring, good document management and email tracking. It is available on-premise and as a hosted solution. This software is developed for small attorneys and independent practitioners. It is simple and cheap for small law firms. It allows to create eight types of case information and stores it for further information. It has all the standard features like task and document management, calendaring, billing and notes. It has a fixed monthly cost and available on multiple platforms. 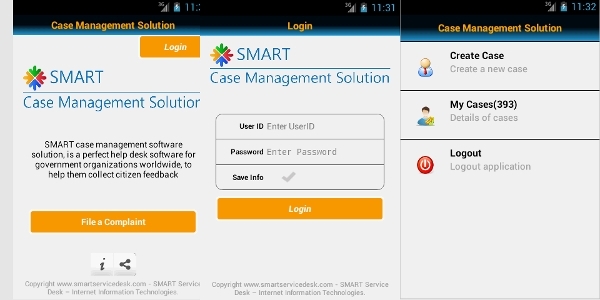 This is a case management software available on an Android device. It is used by government organization as a helpdesk software for citizen services. This allows them to track the issues as a case and keep all the documents and messages in a single place. Needles is the most popular case management software. It transforms the way the law firm does business. It helps in streamlining case management and monitor the big tasks. It has a built-in workflow, calendaring and communication tools. It has a good case intake system and document management. It has a reporting system and supports customization. It has a good calendaring software for scheduling time and integrates with time tracking application and billing. It supports the entire workflow of a case. It has a good CRM and supports business development.We are now aware of the 6+ Case Management Software. Legal Practitioners can evaluate and use them as per their needs. It takes care of all the needed features like document management and calendaring. It allows everyone to be efficient.